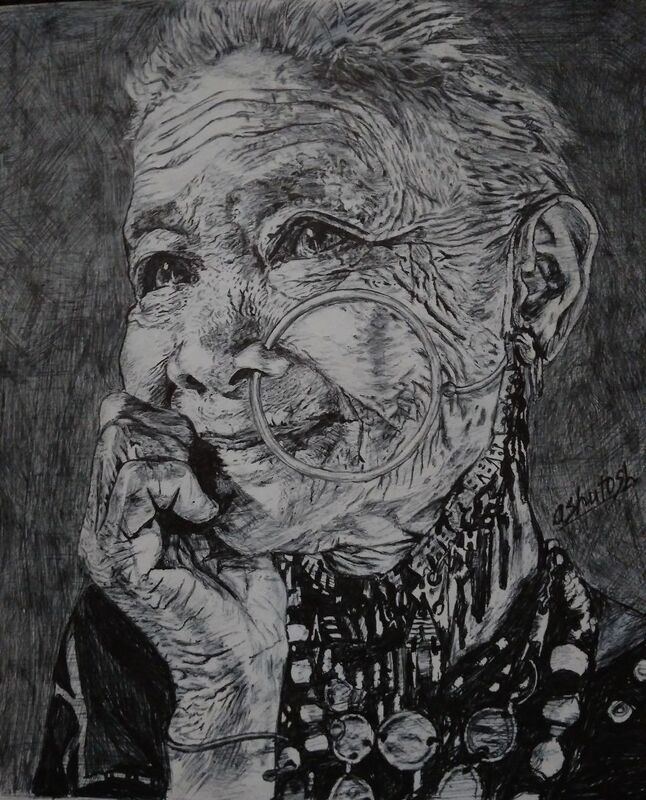 I drew portrait of this old Indian woman on a sheet of paper with ballpoint pen. Beautiful! I love her eyes, so much warmth.